When you first start Hellblade, a new game from Ninja Theory (Enslaved, DmC) that’s out today on PC and PS4, you are greeted with an ominous warning: Die too much and you’ll lose your save file. This is an unusual move that has sparked quite a bit of discussion over the past few hours, since Hellblade’s review embargo ended and critics began posting their thoughts. Although there are quite a few games with permadeath modes—Diablo III, XCOM, and several others—those modes are usually optional, meant for players who want to challenge themselves. Hellblade’s developers have chosen to make permadeath a definitive part of the game, adding a level of tension that wouldn’t otherwise exist. News of this permadeath system has polarized fans since it came out this morning, most notably through John “Totalbiscuit” Bain, who slammed the system as an “outdated, stupid waste of everyone’s time.” (Bain added that he has not played the game.) Other critics and game developers have pointed out that not all video games are designed for everyone, and that Hellblade, which explores themes of psychosis and mental health, has very specific goals. Wherever you stand on this particular decision, this is useful to know before you consider playing Hellblade. UPDATE (12:20pm): It appears this mechanic is more complicated than previously believed. 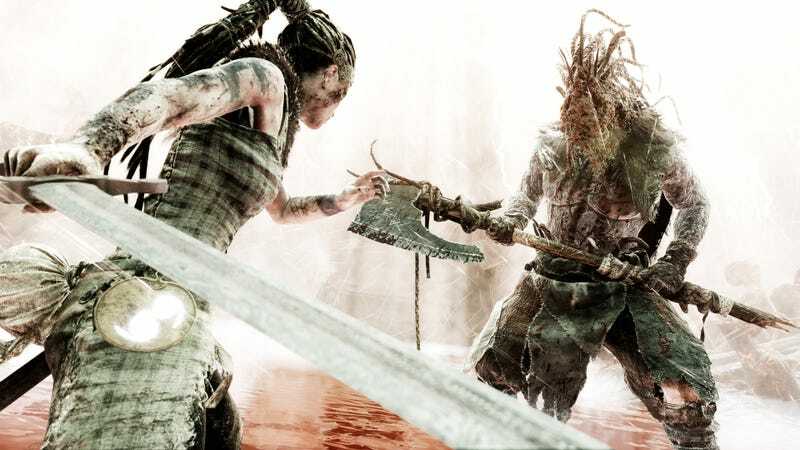 A writer for the website PCGamesN said he tested this out (by dying a bunch of times) and found that his progress was not in fact wiped, calling Hellblade’s permadeath “a bluff.” Other players on NeoGAF and other forums, however, have reported that it does exist—there are just safeguards in place. You have to die multiple times across multiple checkpoints to trigger the permadeath. We’ve reached out to Ninja Theory for clarification. In the meantime, it’s clear that many of the reactions have been... histrionic.